I’m very happy to announce the return of The Weeknd with ‘Echoes of Silence’, fulfilling his early promises on Twitter of bringing us three albums for free in 2011. Considering most artists struggle to put out an album a year, let alone make a decent impact with them, it’s beyond impressive what this guy from Canada is doing and i’m glad to see him getting the recognition alongside it. Most people are very familiar with The Weeknd now, and you can safely drop the name into conversation with most people assuming they will be familiar, but to think that his debut free album dropped in March 2011, that’s some crazy carrier growing in a short amount of time. 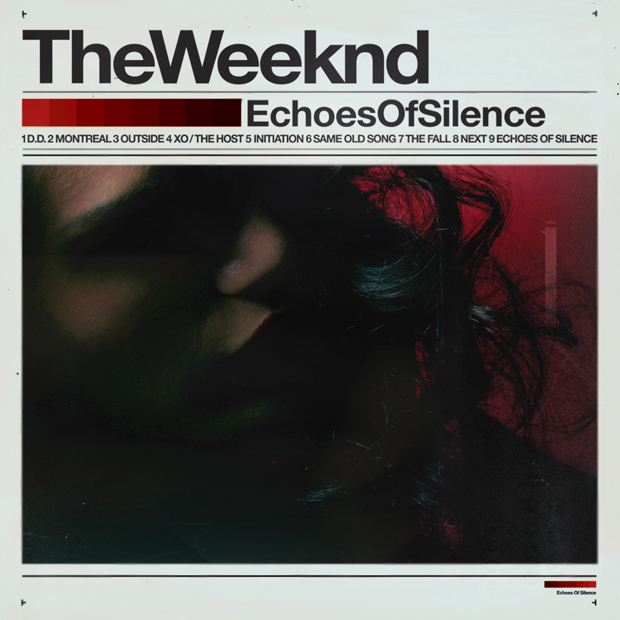 Keeping the quality levels as high as always, Echoes of Silence sounds to me like the 21 year old Mr. Tesfaye has been lisening to a decent heap of old Michael Jackson records. His singing style in the opening track ‘D.D.’ sounds so similar to the late great it’s surprising, even though it’s a cover of MJ’s ‘Dirty Diana’, the similarity in their voices slightly shocked me. Add onto that the epic power drums of the 80’s appearing on several tracks and you’re starting to hear strong influences. It’s no bad thing, and perhaps I’m late to notice this in The Weeknd’s music. Riddled with the usual sexual R&B lyrics that we’ve all come to love from this artist, the album is a perfect continuation from his second piece of work ‘Thursday‘ from back in August. This one’s not too far from the last album (as expected when dropping three in a year), yet different enough to show where he’s going with the music. One of the most interesting tracks on this album has to be ‘Initiation’, with it’s warped vocals pitch-diving back and forth – it’s a dark piece of work. The album closes on the title track in true piano ballad style, finalising another welcome addition to the growing The Weeknd collection.